Local Event in Kyoto for winter. Boiling radish! Some shrines and temples in Kyoto have the event of boiling Japanese white radish in the beginning of December. Seeing boiled radish in the big pot, we feel the beginning of the winter. The origin of this event goes back to the day Buddha had attained enlightenment. It’s Memorial Day a lot of people visit temples to wish to be in good health. Some boils only white radish with soy sauce and some boils with deep-fried bean curd (Oage). It’s worth trying! Where are the radish events held? Maybe Senbon Shakado is the most famous for the event of boiling radish. Since it is near my hometown, I’m familiar with the temple. The formal name is Diaho-onji temple, but everybody call it “Senbon shakado”. 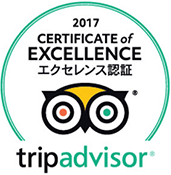 It’s near from Tea Ceremony Koto. From Kinkakuji-michi city bus stop to Senbon Imadegawa, it’s about 8 minutes by101 or 102. From Senbon Imadegawa bus stop, it’s about 4minutes walk. You can use city bus 59 also from Kinkakuji-mae to Senbon Imadegawa. 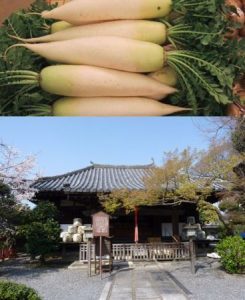 This temple has the unique origin of boiling radish that a priest Shinran was pleased to be served the boiled radish with salt by people living there about 750 years ago. As the proof of his visiting, Japanese pampas grasses are planted in the garden. He recited “keep Amitabha Buddha in mind as a consolation.” The event of boiling radish is the Memorial Day of this tradition. Boiled radish at home. Let’s try cooking! Boiled Japanese radish is in season in December to Februdary. How about making boiled radish with soybean paste of Yuzu(citron) flavor? The dish will be more beautiful if we put some sliced citrons on the top at last. This recipe for home cooking is from the book written by Yoshihiro Murata, the owner of Kikunoi, which received the 3 stars of Michelin. Reading the book, I made this dish at home. Please mix soybean pate, sugar and yolk on the low heat, add sake little by little. I think it’s also good to have with rice or other boiled vegetables. I start using this tea bowl when we feel the cold wind outside every year. How about powdered green tea & sweets after lunch of boiled radish? This sweets is called “ “ made by a shop of long standing in Kyoto, “Senbon Tamajuken”. It’s near Senbon Shakado. The shape of the dish is a gourd. Including the fretworks around the dish, the number of the gourds is 6. 6 gourds are thought as the charm of the health in Japan. 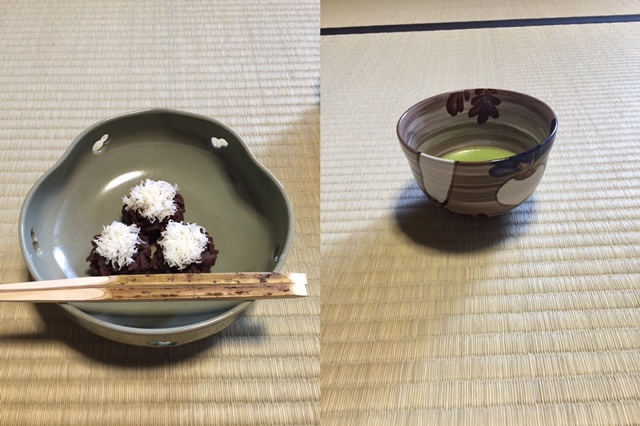 Let’s prepare for the cold season by eating boiled radish and join tea ceremony with seasonal tea utensils!